My husband scheduled a surprise maternity shoot for me last week, but we ended up not being able to make it in time due to an insane traffic incident.. So we pulled over on the side of the road and ended up taking photos ourselves with our tripod for the first time! Not bad, eh? Wow, what beautiful photos! I love the back of your dress. I’m so impressed you did these yourself! Congrats on the birth of your daughter! Can’t wait to hear more. Aw thank you, Amy! And I’m pretty impressed by ourselves too. Taking photos with a tripod means more memorable family photos! Congrats on your baby daughter Shveta! Beautiful pictures! Happy New Year to the three of you! Aww, so nice of your husband! Incredible dress, Shveta. You look so cute together, guys! OMG! Stunning photos. You look drop dead gorgeous. ( both look amazing ) You are One of the most beautiful mom to be ever. Yay!!! Congratulations!!! I am so excited for you! Your bump is so beauitfu and that dress is to die for! I hope you write up your birth story! Beautiful photos!!! Love your dress with open back! Congratulations to both of you! That is fantastic news. You both look great in these photos. Don’t worry about your blog right now. We will be here when you get back. Enjoy your new baby girl! Such a beautiful couple. These photos are gorgeous and that dress is stunning. Love the color and the movement of it! Oh my goodness, Shveta, these pictures are breathtaking! You look like an ethereal fairy princess, and you and your husband are the most adorable couple. Congrats on your bundle of joy, I can’t wait to see pictures, I’m sure she’ll be just as stylish as her mama! Congratulations on being a mother!!!! Your photos are stunning! What stunning photos!! You guys both look so happy. Such beautiful photos and I love that color on you! Gorgeous pictures! You look fabulous! Aw thank you, Whitney! I know we can’t believe we took it ourselves either! Beautiful photos! Congratulations on your little one. I can’t wait to see photos. Hope you and baby are doing well. Congratulations on your daughter! These photos came out beautiful and I love you dress! Beautiful dress and beautiful couple! Shveta, you are beyond gorgeous, girl, seriously, STUNNING! I love the dress, which looks so beautiful on you and flatters the bump, which bring me to…..CONGRATULATIONS!!! I’m sure you are enjoying every minute with your new baby girl. I wish you and your hubby the absolute best and I can’t wait to read your new experience on motherhood! Sending lots of love and hugs your way! Oh my goodness CONGRATULATIONS!! The photos came out beautiful! A well placed tripod does wonderful things. I can’t wait to see your new post after you’re all settled in with your baby! Wishing you all the best! PS if you’ve had your baby, congrats!!! So beautiful! And congratulations! I can’t believe you already gave birth Jan 5! I am beyond happy for the two of you! I cannot wait for motherhood posts! 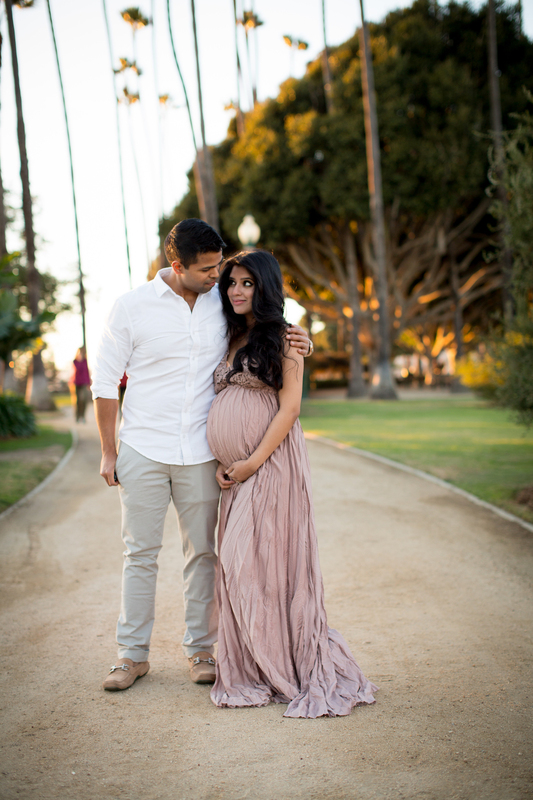 PS: These maternity shoots are incredibly gorgeous! much! Glad we connected, you are wonderful! Congratulations on your new arrival! Such a blessed time. You two make a beautiful couple. And this was such a thoughtful gift he gave you. You both look so cute and I love that stunning gown. You are one hot mama! Stunning shots!! Both of you look amazing! 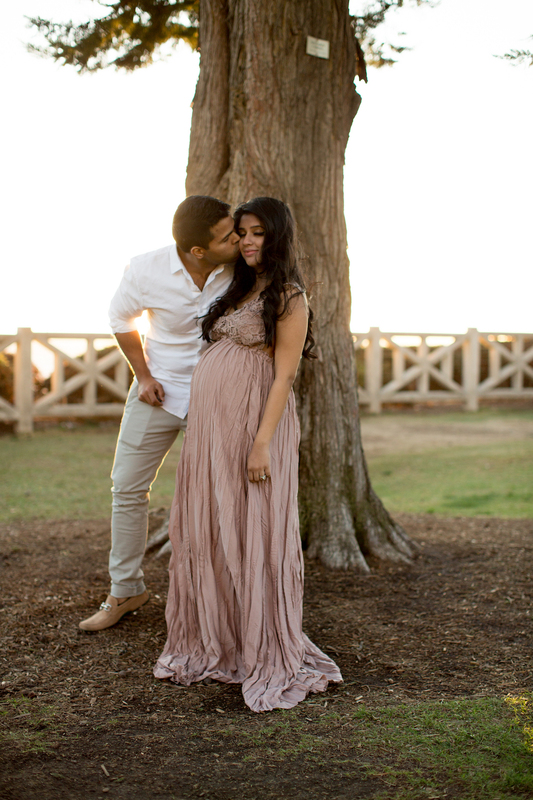 These are breathtakingly beautiful maternity photos; how lovely to have these images to look back over in years to come. I love your dress for the shoot by the way and you truly do make a lovely couple. Oh and a massive congratulations on becoming a new mother – I hope your daughter has a wonderful life! So beautiful! So happy to hear your daughter arrived. Congrats and much love to you and your new family. All the best for you and daughrter ! You are an absolute dream! That dress is the perfect color on you. I am so happy for you and your husband – congratulations on your little blessing! These photos are fabulous!! I can’t believe you actually took them yourself, that’s skill right there! Congratulations on the birth of your daughter!!! I can’t wait to see photos, and this shoot is stunning. Congratulations darling on the birth of your daughter! Your maternity photos are so dreamy I can’t believe you did it with a tripod! Wishing you to take all the time to enjoy your motherhood! Amazing pictures Shveta !! Congratulations on the birth of your daughter hun ! This is an amazing shoot- and omg! Congrats, lady! Awww.. soo cute.. love the pics and Love the outfit. You look Chic, as always. . The colours are pleasing! Wow you look gorgeous babe! The dress is gorgeous, so romantic! Congratulations! I can’t wait to see photos of your daughter. These maternity photos are stunning. You look so beautiful. You and your husband look so much in love. Oh wow, congratulations!! And that dress looks beautiful on you! Amazing pictures, congratulation on being blessed with a daughter. You wrote 2015 instead of 2016 😀 . Have a lovely day beautiful lady!